Salisbury Garden was officially re-opened today (December 8) following the recent completion of revitalisation works. Speaking at the re-opening ceremony, the Director of Leisure and Cultural Services, Ms Michelle Li, attributed the successful transformation of Salisbury Garden to the support and advice of Yau Tsim Mong District Council (YTMDC) and the Harbourfront Commission, as well as the professional team of architects and designers led by New World Development Limited. 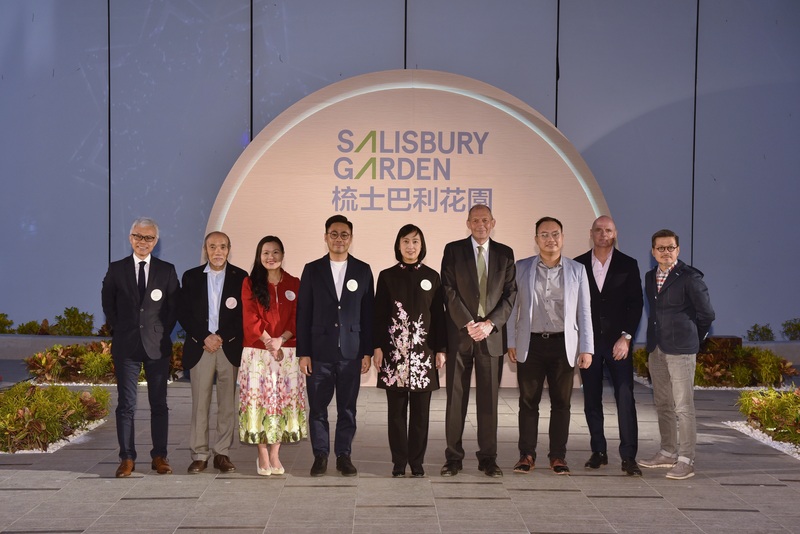 Located at the heart of the Tsim Sha Tsui waterfront, Salisbury Garden, which is managed by the Leisure and Cultural Services Department (LCSD), is situated between the Hong Kong Museum of Art, Art Square and Hong Kong Space Museum. Designed by renowned urban designer and landscape architect Professor James Corner in collaboration with a team of international and local designers, the garden revitalises Victoria Harbour waterfront and transforms the area into a place where culture, landscape and art converge, and is ideal for both daily leisure and occasional celebrations. The tropical garden landscape is augmented by an elliptically shaded central lawn for people to sit and relax. The waterfront steps also offer broad bleachers for seating facing Victoria Harbour. Other special designs include a looping path, an event platform and a garden wall. To complement the garden's re-opening, the "Circular Reflection" project will be held from December 9 to February 11 next year, including the display of three participatory and virtual reality installations and experiential performances. 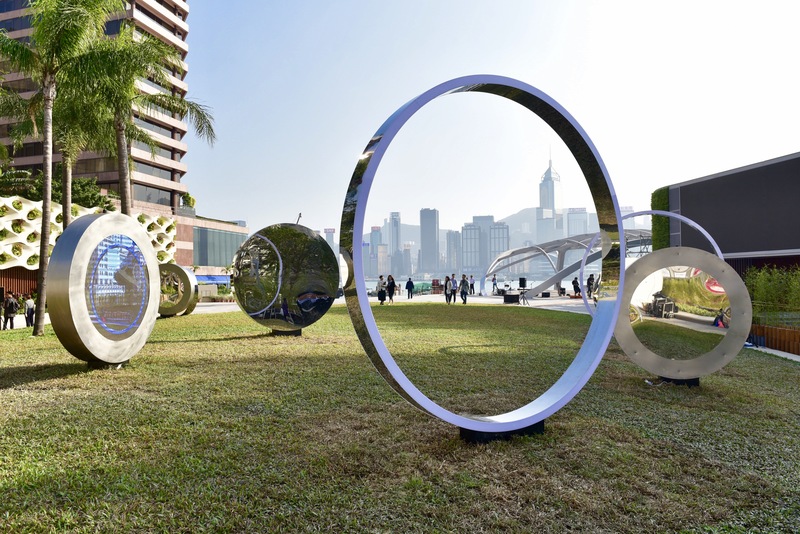 The installations, created by artist Hung Keung, offer participants a new 360 degree visual experience of Victoria Harbour waterfront through different levels of observation and imagery. In addition, the experiential performances created by theatre director Alex Cheung will be staged between noon and 6.30pm on December 9, 10, 16 and 17. Admission is free. 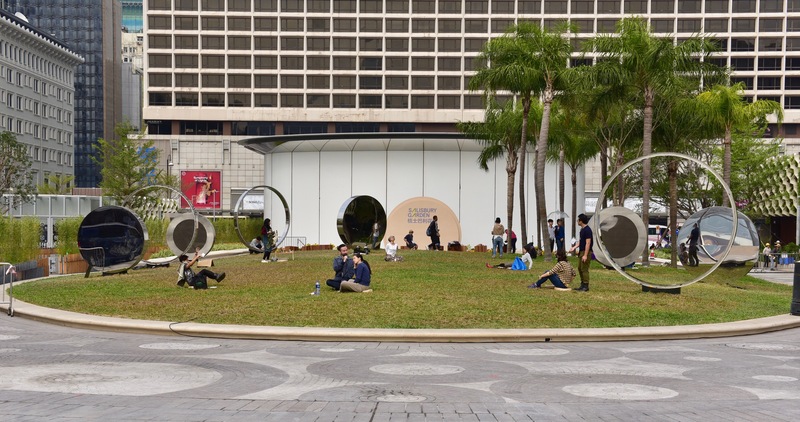 For details of the Salisbury Garden and the "Circular Reflection" project, please visit www.hkculturalcentre.gov.hk. Other officiating guests attending the re-opening ceremony included the Chairman of YTMDC, Mr Chris Ip; the Chairman of the Food, Environmental Hygiene and Public Works Committee of the YTMDC, Mr Benny Yeung; the Chairman of the Harbourfront Commission, Mr Nicholas Brooke; the Chairman of the Task Force on Harbourfront Developments in Kowloon, Tsuen Wan and Kwai Tsing of the Harbourfront Commission, Professor Becky Loo; the Chairman of the Art Sub-committee of the Museum Advisory Committee, Mr Vincent Lo; the designer of Salisbury Garden, Professor James Corner; the Senior Project Director of New World Development Company Limited, Mr Jeff Tung; and Deputy Director of Leisure and Cultural Services (Culture), Dr Louis Ng. Salisbury Garden was officially re-opened today (December 8) following the recent completion of revitalisation works. Designed by renowned urban designer and landscape architect Professor James Corner in collaboration with a team of international and local designers, the garden revitalises Victoria Harbour waterfront and transforms the area into a place where culture, landscape and art converge, and is ideal for both daily leisure use and occasional celebrations. Salisbury Garden was officially re-opened today (December 8) following the recent completion of revitalisation works. To complement the garden's re-opening, the "Circular Reflection" project will be held from December 9 to February 11 next year, including the display of three participatory and virtual reality installations and experiential performances. The installations were created by artist Hung Keung, while the experiential performances were created by theatre director Alex Cheung. Salisbury Garden was officially re-opened today (December 8) following the recent completion of revitalisation works. Photo shows the Director of Leisure and Cultural Services, Ms Michelle Li (centre) and other officiating guests.